The Blues Foundation announced the winners of the 38th Annual Blues Music Awards, the blues world's highest honors, on May 11 at the Cook Convention Center in Memphis, Tennessee. Soul and R&B singer Curtis Salgado, whose latest CD, THE BEAUTIFUL LOWDOWN, was called "an essential gem" by Blues Music Magazine, received three awards: Soul Blues Album Of The Year for THE BEAUTIFUL LOWDOWN, Song Of The Year for Walk A Mile In My Blues (written by David Duncan, Curtis Salgado and Mike Finnigan) and Soul Blues Male Artist of The Year. Salgado previously won the 2010, 2012 and 2013 Blues Music Awards for Soul Blues Artist Of The Year. In 2013 he also won the coveted BMA for B.B. King Entertainer Of The Year, and took the statue for Soul Blues Album Of The Year for his Alligator debut, Soul Shot. Salgado is currently recuperating from his March 2017 quadruple bypass surgery. Expecting a full recovery, he is scheduled to begin performing again in July. "All I want to do is get on stage," he says. That's where I belong." Order THE BEAUTIFUL LOWDOWN for the special sale price of $14.98 (includes FREE U.S. shipping). Curtis Salgado nominated for three 2017 Blues Music Awards including Song of the Year for "Walk A Mile In My Blues"
The 2013 Blues Blast Music Awards winners were announced at the gala awards ceremonies at Buddy Guy's Legends in Chicago on October 31st , 2013. Congratulations to all the nominees and the winners. Curtis Salgado wins B.B. King Entertainer of the Year, Soul Blues Male Artist of the Year and Soul Blues Album of the Year. Curtis Salgado wins three 2013 Blues Music Awards. Curtis Salgado nominated for four 2013 Blues Music Awards Including Soul Blues Album of the year for "Soul Shot"
Register For The Blues Foundation And Vote For Curtis! Curtis Salgado has been nominated for four "Blues Music Awards" and you can vote for him by registering as a member of The Blues Foundation. Shanachie recording artist Curtis Salgado was nominated for four awards for the upcoming 30th annual Blues Awards. Curtis Salgado will join John Mayall, Charlie Musselwhite, Lee Oskar, Johney Dyer, Mark Hummel, and Rusty Zinn for the 2009 Blues Harmonica Blowout Tour. Curtis Salgado will perform with a special guest tonight at Music Millennium in Portland, OR celebrating his new album release "Clean Getaway". The Curtis Salgado Band, in an effort to help raise funds for Sho Dozono's mayorial campaign, will perform at Jimmy Mak's May 9, 2008. Tom Grant & Devin Phillips will also perform at the event. CURTIS SALGADO BAND OFF TO CALIFORNIA & NEVADA! 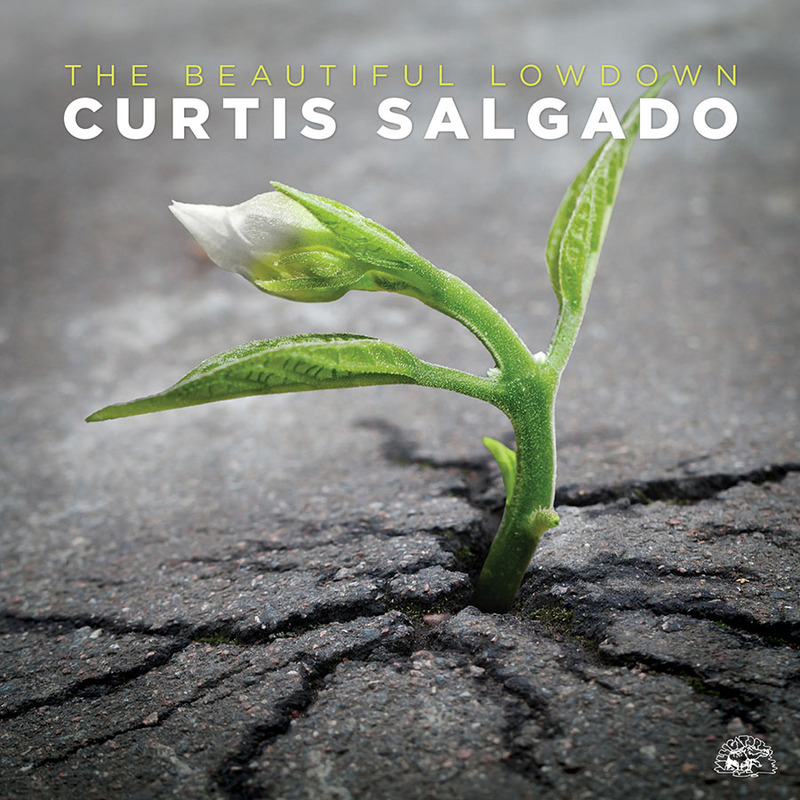 While Curtis continues recording his latest album in Los Angeles, CA, Salgado and the band will be performing select markets throughout the southwestern U.S.. Please see our touring itinerary. CURTIS SALGADO BEGINS 2008 ON A HIGH NOTE !! Curtis Salgado, who has endured a roller-coaster of life crisis during the last two years, is getting a second chance. Optimistic that his medical issues may be behind him, Curtis is excited about the prospect of a healthy and prosperous 2008. Curtis Salgado is scheduled for precautionary surgery this coming week in Omaha, Nebraska according to his manager Shane Tappendorf. CURTIS SALGADO'S 10 PIECE BAND TO PLAY THE "LEGENDARY BLUES CRUISE'' MEXICAN RIVIERA OCTOBER 13 - 20, 2007. Portland, OR - The legendary Jimmie Vaughan has been added to an already stellar line-up in support of "A Concert for Curtis II" set to perform in the Silva Concert Hall at the Hult Center for the Performing Arts in Eugene, Oregon on April 29, 2007. Portland, OR - March 26, 2007 - "A Concert for Curtis II" featuring an all-star lineup is set to perform in the Silva Concert Hall at the Hult Center for the Performing Arts in Eugene, Oregon on April 29, 2007. Curtis Salgado underwent a successful liver transplant surgery on Saturday September 30, 2006 at The Nebraska Medical Center in Omaha, Nebraska according to his manager Shane Tappendorf. A SPECIAL CONCERT APPEARANCE TONIGHT IN ROSLYN, WASHINGTON! The Curtis Salgado Band will make a rare concert appearance this Saturday September 16th, 2006 at the Art and Blues Festival in Roslyn, WA. Three other acts including the Duffy Bishop Band will open for this early afternoon event with Curtis taking the stage at 7:30PM. "A CONCERT FOR CURTIS" PORTLAND BENEFIT EXTRAVAGANZA HISTORIC!! Portland, OR - June 20, 2006 - The planet took a time out, maybe stopped, at least in Portland, OR for six hours, as the worlds greatest musicians delivered a once in a lifetime performance, so full of love and giving, for a cause so deserving that it could only happen in a life or death situation. After a successful performance at the B&W Blues Festival in Halle, Germany, Curtis returns to the Pacific Northwest for a series of Wenesdays at the Gemini Pub in Lake Oswego, Oregon November 30 - December 28, 2005. New 2005 concert appearances added in support of the new CD "Strong Suspicion" on sale now! NEW CONCERT TOUR APPEARANCES ADDED IN SUPPORT OF THE NEW CD, "STRONG SUSPICION" ON SALE NOW! CURTIS AND BAND SET TO OPEN FOR STEVE MILLER BAND JULY 3 & 4 IN CALIFORNIA! New Summer Concert Dates Scheduled. Curtis Salgado and his band will be kicking off a two week tour in the western states August 1st.